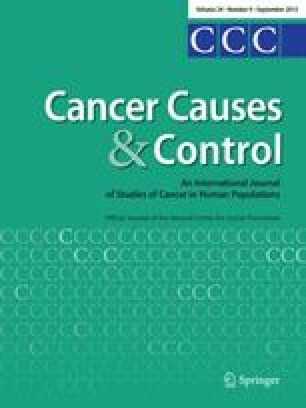 The incidence of brain and other intracranial tumors following head trauma was evaluated in a cohort of 228,055 Danish residents hospitalized because of concussion, fractured skull, or other head injury between 1977 and 1992 and followed for an average of eight years (maximum, 17 years). Traffic accidents, falls, and sports-related incidents were the usual causes of the injury. Malignant and benign neoplasms were identified by linking the study roster with records of the Danish Cancer Registry for the years 1977 to 1993. This approachprecludes differential reporting of injuries by study participants as an explanation for any associations seen. Intracranial tumors of the nervous system occurred more often than expected based on incidence rates for the Danish population; however, most of the excess occurred during the first year after the injury and likely was due to the detection of tumors that were present before the injury occurred. Excluding the first year of follow-up, the standardized incidence ratio (SIR) was 1.15 (95 percent confidence interval [CI] = 0.99-1.32). The same general temporal pattern was seen for the major subtypes of brain tumor as for all types combined. SIRs after the first year were 1.0 for glioma (CI = 0.8-1.2), 1.2 for meningioma (CI = 0.8-1.7), and 0.8 for neurilemmoma (CI = 0.4-1.7). However, hemangioblastoma and hemangioma were more frequent than expected, based on 15 cases (SIR = 2.6, CI = 1.4-4.2). Results indicate that head trauma causes, at most, a small increase in the overall risk of brain tumors during the ensuing 15 years; however, a possible association with intracranial vascular tumors warrants further evaluation.